What is sandalwood oil? How are its benefits and uses? Sandalwood oil is derived from the heartwood of the Santalum tree. Many countries in the world use sandalwood oil in cosmetics, meditative practices, skin and hair care. Sandalwood oil is effective with huge benefits and uses. As follows, VKool.com will show the list of some benefits and uses of sandalwood oil for skin. To know clearly it, please read the rest of this article. Treating skin infections and itching are the common features of the sandalwood oil. If you apply this sandalwood oil regularly, you could prevent and cure some types of skin infections. For itchy skin, you also can try sandalwood oil as well. The remedy is also widely used for treating eczema successfully. Sandalwood oil is considered as skin-friendly cleansing properties. If your skin appears ugly spots or eczema, this oil will help you get rid of those rapidly. Furthermore, the sandalwood oil also decreases the chances of developing them again. Especially, this oil is effective for the dry skin. Sandalwood oil is beneficial for anti-aging. This oil is useful for sagging and aging skin. Simply, You can mix sandalwood oil with honey and egg yolk. Then, apply it and rinse it off. If you want to know more benefits of sandalwood oil for skin, keep reading the next part of this writing. Many ones used a lot of anti-tanning creams without results. Using sandalwood oil is a good option to get rid of the tanning effects on the skin. You can mix the sandalwood powder with honey, lemon juice and curd. Apply to face and leave for at least 15 minutes. Wash off and find smooth skin with reduced tanning effects. Your skin will be softening by using sandalwood oil. You can make massage oil by adding the powder to the oil and leaving it for around twelve hours. This way is possible to get the benefits of sandalwood along with the other essential oil selected. Using sandalwood oil to deal with prickly heat is a good choice. You should apply a paste made with sandalwood powder and water to the affected areas for a soothing effect. This paste is also safe for children too. Sandalwood oil is a very useful way to prevent acne and pimples. You can mix sandalwood powder with turmeric and saffron. Then, add a little water to make a paste and apply on face. The other way of deriving sandalwood benefits for skin is by applying a paste of sandalwood powder and black gram powder. One of benefits of sandalwood oil for skin is anti-inflammatory. This oil is good for curing the soreness of nervous system (including brain), circulatory system, digestive system and excretory system. If your biological systems are infected by some symptoms including fever, toxic materials, antibiotic medicines, injuries, or insect attacks, this oil can decrease the inflammation considerably by just making the region cool. To discover the best uses of sandalwood oil for skin, you should continue reading the next part of this writing. How to use this oil? Here are several ways to use it effectively. You can make a paste by mixing 1 tablespoon of sandalwood powder with ½ tablespoon of turmeric powder. Then, apply a coat of this paste on your face and keep for about 20 minutes. As a result, you can reduce your pimples and also you can feel your skin smooth. Another option is to take sandalwood powder and turmeric powder in equal quantity and make paste in milk. Then, add a pinch of camphor powder to it. Massage your face with the paste and keep it for the night. It not only gives you a cool feeling but also cleans away the skin marks. Or, you can take equal measures of sandalwood powder, lemon juice and turmeric powder to make a paste and then apply it on your face. At last, wash cool water after 30 minutes. It would make your skin not just soft but also marks free. 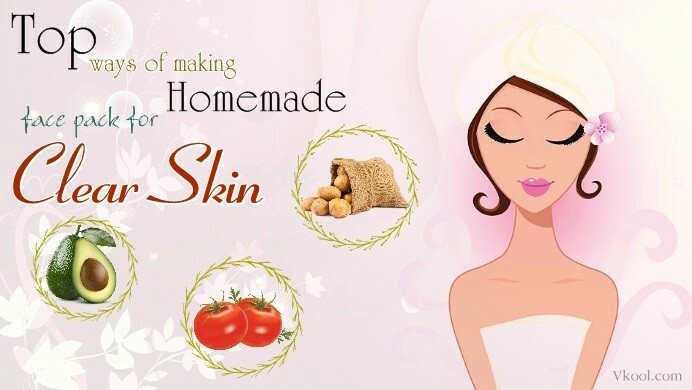 You can make paste of sandalwood powder and rose water and apply it on your face. Wash after 15 minutes. For people with oily skin, this paste can treat pimples, acnes and for others it cleanses your pores. You can mix black chickpea powder with sandalwood powder in equal quantity either with rose water or milk and then, apply the paste on your face and keep it overnight. By doing this for a week you can say good bye to your pimples forever. f. Simply, you can mix one drop of sandalwood oil to your skin care regime 1-2 times a day. You would also check out blends for acne. Eczema : You apply 1-2 drops over the area of concern every day or more frequently to treat eczema. If you want to own and maintain a clear, smooth skin, sandalwood oil is one of the best options. You should follow any of the above, and you will see the good results. Hopefully, this article is helpful for people who usually meet trouble of skin. If you have any question or comment, please leave below, I will respond as soon as possible. To get more information concerned with skin, please visit our Skin Care page.